When federal regulators in 2010 instituted new ethics rules to prevent Wall Street executives from using campaign contributions to influence government investments, they pointed to New Mexico as an example of a state mired in pay-to-play practices. Just after those rules were enacted -- with New Mexico still reeling from an influence-peddling scandal involving state investments -- voters elected a new Republican governor promising a swift crackdown. The state's largest pension fund on Tuesday shot down a pitch from a Republican lawmaker who wants it to study how much money it could save by cutting benefits for retired public workers. The board that oversees Colorado state pensions on Friday recommended higher contributions from employees and taxpayers along with cuts to retirees' benefits, arguing that the changes are necessary to shore up the underfunded pension system. 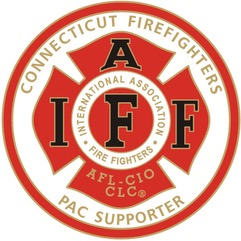 Across the state, for well over a decade at this point, police and firefighter pension funds have been a point of worry as they continue to go without funding, resulting in cuts to services and the labor force. Kentucky has a problem with retirement funds for public workers. The state's pension systems having a combined shortfall of several billion dollars, leaving many of those public workers, like teachers, worried. Ohio's biggest public pension system is considering cutting the cost of living allowances for its 1-million members as a way to shore up the long-term finances of the fund. S&P Global Ratings downgraded Pennsylvania's credit a notch Wednesday, saying an ongoing cycle of budget fights has weakened the state's financial standing. Gov. Gina Raimondo said Wednesday that she is "highly concerned" about newly passed legislation creating the presumption that firefighters with heart conditions are entitled to the same tax-free, two-thirds-pay disability pensions received by those who have been permanently disabled by on-the-job injuries. Police officers and firefighters are now required to contribute more to their own pension system that was on the brink of insolvency after years of mismanagement. They agreed to the increases to their pension contributions earlier this year, ranging from 5 percent to 9 percent of their pay. Dallas taxpayers are on the hook too. Americans are scared about their future retirement security. Politicians have promised to fix this "retirement crisis" through a combination of expanded Social Security benefits and new retirement plans set up by state governments. But what if our governments are themselves the biggest contributors to this "retirement savings gap"?